Dr. Anver Omar completed the 90km South African Comrades Marathon run from Durban to Pietermaritzburg last Sunday in a time of 10 hrs. 12mins. Anver came ahead of some 7500 runners in a field of 11000. Congratulations Anver! Our thoughts were with you all the way up Polly Shorts. YEAR 12 students at a private school in Sydney are forced to complete HSC subjects at TAFE if it appears they will not score high marks. Malek Fahd Islamic School, in Greenacre, joined the top 10 HSC performers in the Herald's league table for the first time last year, ranking ninth - a jump from 15th position the previous year. Malek Fahd students, who pay fees to attend the school, make up close to half the free HSC chemistry class at Bankstown TAFE this year. Ken Enderby, who co-ordinates the Bankstown TAFE HSC program, said in recent years students had told him they had to take HSC subjects at TAFE because they could not sit them at Malek Fahd. He said one Malek Fahd student who was asked to leave the school achieved a lowest score of 60 per cent and a highest score of 72 per cent at TAFE. "I have had parents in tears because their children have not been allowed to sit subjects at the school," he said. "I'm happy to have those kids here. These are very good students - well behaved and a pleasure to teach." Rawlins Taekwondo took first position again at the Caboolture Open on the 15 June. There went with six entrants and came home with 7 Gold medal. The team also took part in the pattern (poomse) for the first time won their first medal, a Silver. The next event is in Korea next month and the local competition is on 27 July at the Entertainment Centre for the Queensland selection. "Anyone who wants to join our winning team of champions should please ring me on 0402716707," coach Haris Olomi told CCN. Md. R. Rezwan and Sadia Shahnaz Rahimullah are the proud parents of baby Ameer Muhammad who was born a fortnight ago at the Mater Mothers Hospital. Little Ameer has a sister, Rinaaz aged 2 and half years. THE Islamic community opened the doors to the Arundel mosque last week and invited the public in to dispel fears about the Muslim faith and to help build relations with the city. "People have fears and misconceptions so it's important we have an open day," said Imam Imraan Hussein. "We wanted to give the community a feel that we're just like them, our kids play around and we're just like normal Australians. "We have the same fears that conservative Christian families have and we're dealing with the same problems. "We have an open-door policy throughout the year but tonight it's a little more official and an excuse for people to come along. "Until there is dialogue and interaction, people live with their fear." Guests enjoyed a meal with the Coast's Islamic community before hearing from guest speaker Yusuf Estes. Mr Hussein was pleased with the turnout and said most people would be surprised to learn the mosque is made of a diverse cross-section of the community. "We've got people from all the different backgrounds and different cultures," he said. The community open night came after a proposal to build the Gold Coast's first Islamic school suffered setbacks when vandals defaced a nearby Christian church with Muslim slogans. 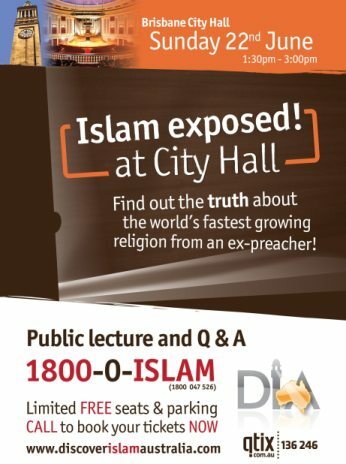 The slogans, such as `Allah Rules' and `Death will come to you', were written on walls at the Community Dream Centre Church on the corner of Nerang-Broadbeach and Chisholm Roads in Carrara which is in the same street as the proposed Islamic school. Mr I Hussein condemned the attacks. "It was a very foolish thing to do. We won't tolerate it," he said. "I don't think any of our community here would do such a thing, we need to establish who did. We have an idea who it was and that person has been banned from the mosque. "He was a revert, he just came here from nowhere for one month and in that time there were some arguments and radical ideas and we told him he wasn't allowed here." The Brisbane-based Australian International Islamic College applied to the council in April for permission to develop a Muslim school at 19 Chisholm Road, Carrara, but already a dozen objections have been lodged even though the plan has not been advertised as part of the planning process. 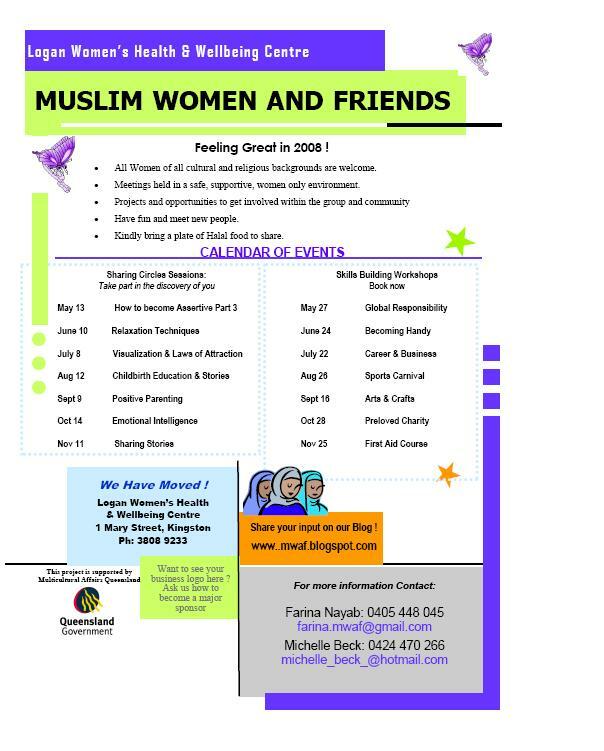 It has been my absolute pleasure to be part of the 'Muslim Ladies Come and Try' program, a pioneering program specifically targeted towards Muslim women in Brisbane. 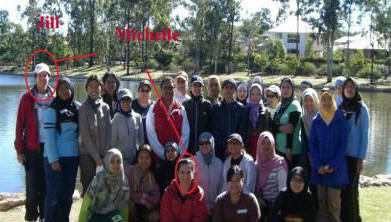 The program was funded by Communify (Jill Duffield) and supported by Brisbane City Council (Michelle Lindley). The program brought together organisations such as Brisbane Outrigger, Brisbane River Dragons, Queensland Canoeing, Muslim Youth Services, Jazzercise® and My Health and Fitness in assembling a number of fun and active programs all across Brisbane. There were 5 activities in total namely Jazzercise®, Outrigging, Dragon Boating, Canoeing and of course 'Bootcamp'. The ladies who participated in the program were very appreciative of the opportunity afforded to them and were keen to attend each of the subsequent sessions. The success of this program was a reflection of the support and encouragement from people like Jill and Michelle, so thank you to both of you and your respective organisations, Communify and Brisbane City Council. Aside from the odd complaint from ladies who never thought they would get to use some of the muscles worked during the water and other activities, everyone was very happy with both the social and physical side of all activities undertaken. If anything we formed a close knit group who looked forward to the 'next Saturday' just to catch up and experience something new!! In conclusion, my greatest thanks to all the ladies in the Community who 'gave up their Saturday mornings' to come and have some fun with us!! I will keep you posted on future activities of a similar nature! On Friday night the Southern Star saluted its latest YoungStars. Sixteen bi-monthly winners were in the running for the Star's sport, arts/education and community involvement awards. Before a sell-out audience at the Sebel and Citigate in Brisbane Star's winners and the overall Quest Community Newspapers winners for 2007-2008 were announced. The finalists range from national and international sportsmen to recording musicians, lifesavers, environmental campaigners and top academic achievers. They were among 1000 nominations received over the past year. "Every year we marvel at the achievements of our YoungStars, who keep setting new standards for these awards,'' YoungStar co-ordinator Nick Crockford said. The awards are run by Quest and McDonald's to recognise the achievements of those aged eight to 18 in the circulation areas of 15 community newspapers. One of the the Star's finalists in the Arts/education section was Ms. Yassmin Abdel-Magied. Unfolding as a sly, wry comedy, with overt politics only in the background, Kolirin's feature is about an Egyptian police band that gets stranded in Israel, exploring culture clash and miscommunication, while using the familiar premise of "fish out of water." The Alexandria Ceremonial Police Orchestra, a small Egyptian band, arrives in Israel as part of a larger mission, a cultural goodwill exchange--they are to play at the opening of an Arab Cultural Center. Dressed in full regalia and observing all military police protocol, the members of the orchestra are at a pivotal time in their careers. It’s not just the political nature of an Arab military police band playing traditional Arab music in Israel that makes this event so important; budget cuts and many reorganizations have threatened the continued existence of the Orchestra. "A heartfelt, wry and decidedly spry film." "Something marvelous happens as the filmmaker, in his first feature, expertly metes out small scenes of communication between people taught, for generations, to be wary of one another: This Band swings with the rhythms of hope." "Both sweet-natured and sharply pointed, a film whose poignant, emotional effects and subtle acting sneak up on you." Campaign volunteers barred Hebba Aref and Shimaa Abdelfadeel (left) from appearing behind Obama at a Detroit rally because they feared the women's traditional head coverings would create a negative impression of the candidate on national TV. Obama, a Christian, has been the subject of rumors that he is a Muslim. The presidential candidate said the volunteers' actions "were unacceptable and in no way reflect any policy of my campaign. I take deepest offense to and will continue to fight against discrimination against people of any religious group or background." Saudi media has reported a number of cases over the past year where women flouted the ban, which some civil rights activists have begun lobbying the government publicly to lift. Starting West Moreton South Burnett Health often has a range of positions available in a number of work areas including: administration (reception, administration project officer), operational (ward staff, cleaning, food preparation, gardening, etc) as well as nursing, medical and allied health (social work, physiotherapy, nutritionists, occupational therapy, etc). These positions work in one of our many facilities which include hospitals, community health services, mental health or oral health services. The Workshop will be held on Friday the 25th June from 10.00am - 4.00pm at ACCES located at 92 Carmody Street, Woodridge. 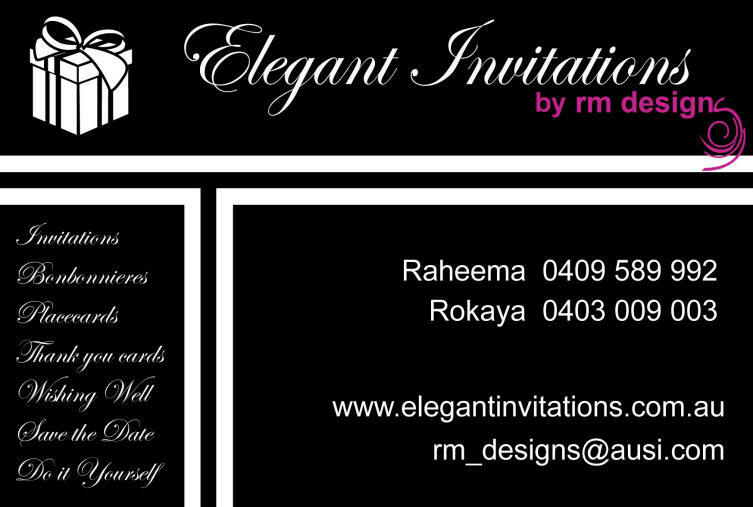 Please note numbers will be limited to 20 people so you will need to register your place as soon as possible by calling Abdullah on the numbers/email address below & attached. This will be a very practical workshop and will benefit anyone looking at their employment options and/or considering or in the process of applying for a position in any of the above mentioned work areas. Presenters include: Desmond Suttle, Workforce Project Officer and Linda Henniker, WMSBHSD Multicultural Health Coordinator. . If you have not already provided us with a copy of your resume or if you have updated your resume, please also forward a copy to me by the 18th June. Please note this workshop will focus on jobs that are available within West Moreton South Burnett Health, however the information will be relevant to anyone wanting to learn more about local (& Australian) recruitment processes. It all began when, viewing the breathless preparations for independent India’s 60th birthday celebrations--and poised then on her own sixth decade—Shobhaa Dé was struck by the thought: ‘Surely my life has taken the same trajectory as the country’s?’ In an intimate confession to her readers, she answers that question, and many more: Does India really deserve to congratulate itself? Has it lived up to the early promises it made to its people? Does the author believe in India herself? Surveying the many images of the country, Dé points out that for every truism about India the opposite is also true: India as the land of the meek; India as inheritor of the earth; India gherao-ed by distinctly unfriendly neighbours; Indians fleeing to jobs in the West and then racing right back to a better life; Indians who ape their erstwhile colonizers and yet cling irrationally to tradition. In a departure from anything else she has written, Shobhaa Dé lasers in on Indian people and their place in the larger human society, pointing out her country’s historical failings and equally historical glories. Admitting to our knee-jerk reactions to much of what is happening at home and in the world, Dé reasons, nevertheless, that the nation has earned superstar status, and with humorous argumentativeness, she convinces the reader that India is not about to lose its glow. Q: Dear Kareema, like many out there I have a very stressful job and lead a hectic lifestyle. Although I run most mornings, I've been advised to do a bit more exercise. What do you suggest? A: There is nothing quite like boxing to release stress. It's also great for all over body strength and core stability - your arms, legs, abs, everything gets a great workout! Depending on how hard you work, you could burn around 2000kj an hour. It's a great cardio workout, so be prepared to puff and sweat! Remember great posture and technique reduces the risk of injury and means you can work harder for longer. Vary your workouts, you are sure to find other exercises that suits you too as far as de-stressing is concerned. 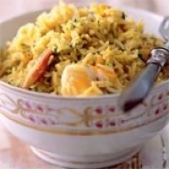 Tasty basmati rice is used as the base for his much loved dish. 1 Put fish in a medium heavy-based pan. Pour over the milk, then add peppercorns and bay leaf. Bring to a simmer and cook, covered, for 15 minutes. Remove the pan from the heat and stand until lukewarm. Remove the fish from the milk and discard milk. Remove skin and bones from fish. Break flesh into flakes, and set aside. 2 Put the eggs in a medium heavy-based pan and cover with cold water. Bring to a simmer and simmer, uncovered, for 8-10 minutes. Put the pan in the sink and run cold water into the pan until the eggs are covered with water. Crack the shells on the side of the pan and leave to stand in the cold water for 5 minutes before peeling. Put the peeled hard-boiled eggs into a dish and set aside. 3 Heat the butter and oil in a medium heavy-based pan. When the butter is melted, add the onion and cook on a low heat for 2-3 minutes or until the onion is soft and golden. Add the curry powder, stir to combine and cook for 1 minute. Add the rice and cook, stirring, for 1-2 minutes. Pour in the stock and cream and stir to combine. Bring slowly to the boil, then reduce to a simmer. Cook, uncovered, for 10-12 minutes, or until all the liquid has evaporated and tunnels have formed in the rice. Cover and reduce to a very low heat. Cook for 12-15 minutes or until the rice is tender. 4 Add the prepared fish to the rice mix. Roughly chop the eggs and add to the rice with the parsley. Stir gently with a fork to combine. Add a good squeeze of lemon juice and serve immediately. A young man is wandering around the zoo looking at the animals. He suddenly remembers about an appointment that he scheduled. Unfortunately, he forgot his watch. He searches for someone who could give him the time. He sees Mula Nasruddin standing next to an elephant. "Excuse me, sir," says the young man "Do you know what time it is?" Mula Nasruddin reaches for the elephant's tail, and gives it a couple of gentle strokes. "Mmmmm, it is about 3:00," Mula Nasruddin responds. The young man looks at him in awe, "How did you know that?" Mula Nasruddin looks back at the man, "I looked at the clock on the wall right behind you."